Atticus Claw On the Misty Moor on TheBookSeekers. The Cheddar family are celebrating New Year's Eve in a Scottish castle! 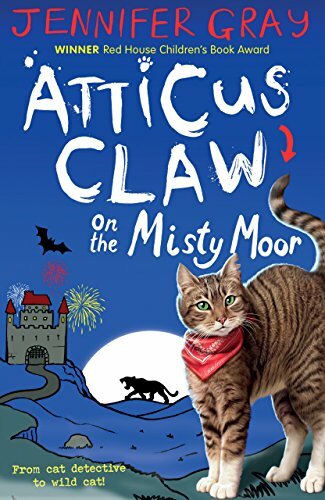 Surely even Atticus can't find trouble here.But with rumours of hidden treasure, an ancient family curse, and sightings of a mysterious giant cat on the moor, it seems Police Cat Sergeant Claw's detective skills will be needed once again.And danger lurks everywhere on the misty moor. . .